Hello and welcome to the Serie A news and rumours of the day! Here are the top stories of the day surrounding the Italian league. 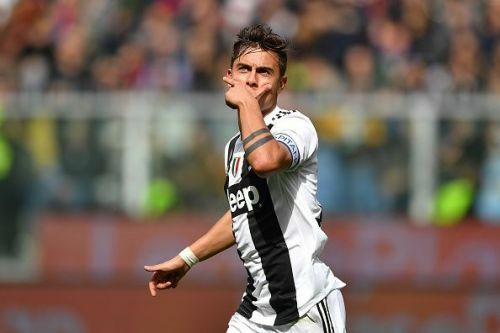 Paulo Dybala has been one of the hottest transfer targets for a plethora of European giants, including Manchester United. However, a recent report from Italy claims that United sent scouts to Juventus' match against Genoa on Sunday to keep track of Alex Sandro and Douglas Costa instead. Both of the Brazilians have been long-term targets for the English giant. Sandro started and played for the full 90 minutes as Juventus lost their first Serie A game of the season, but Costa was unavailable due to injury. Sandro's place at the Italian outfit has been threatened following the recent resurgence of Leonardo Spinazzola, while Costa has troubled by injuries and inconsistent performance this season. Juventus have been linked with a move for James Rodriguez for some time now. The Real Madrid star, who is currently on loan at Bayern Munich, is facing an uncertain future. He has endured a mixed season at the German outfit and it's still not known if Bayern will make his move permanent at the end of the season. A return to Real Madrid also seems unlikely for the Colombian star, following Zinedine Zidane's reappointment as Los Blancos boss. Juve could reunite the 27-year-old with former Real Madrid teammate Cristiano Ronaldo in Turin and could offer an escape route for the star midfielder. Los Blancos would be willing to ask €60 million for the ex-Monaco star but could lower their demand in order to let the transfer happen. However, the Old Lady could be forced to sell Paulo Dybala if they are willing to go for James in the summer. Juventus have joined the race for Kylian Mbappe's signature recently and are willing to go all out for the French sensation. However, PSG President Nasser Al-Khelaifi has inserted a mind-blowing €300 million asking price for the 20-year-old, according to a report. This colossal price tag would temporarily end Juve's interest in the most sought-after star. Real Madrid, who have also been repeatedly linked with Mbappe, would also struggle to meet PSG's hefty demand. At just 20 years of age, Mbappe has shocked the world with his exceptional quality and is set to be a leading star when Lionel Messi and Cristiano Ronaldo's era comes to an end.